Lightweight adjustable timing wheel made from Stainless steel. 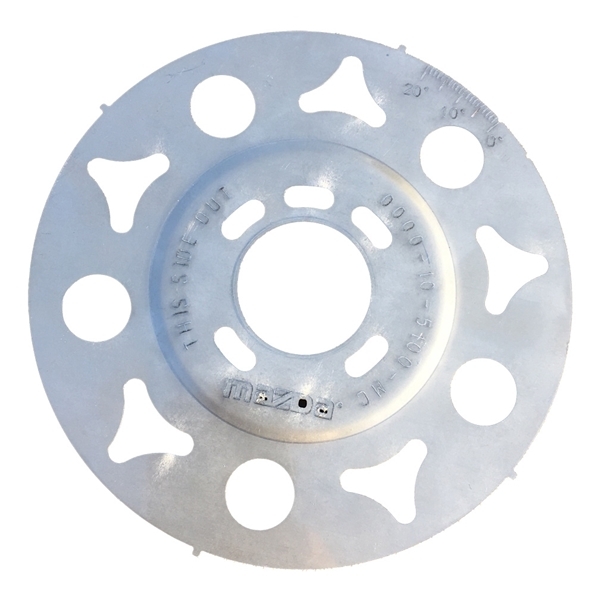 This newly designed timing wheel has timing marks etched into the wheel as well as notches in the perimeter of the timing wheel that match up with the Top Dead Center (TDC) marks on the OEM balancer for easy initial setup. The timing wheel has roughly 20 degrees of adjustability. The slotted holes are cut on a radius allowing for full adjustability without binding. Cheaper versions in the market have the slots cut on an angel and not a radius causing bind of the hardware and premature fatigue and failure. Approved for both SCCA and NASA competition and comes with ARP bolts.